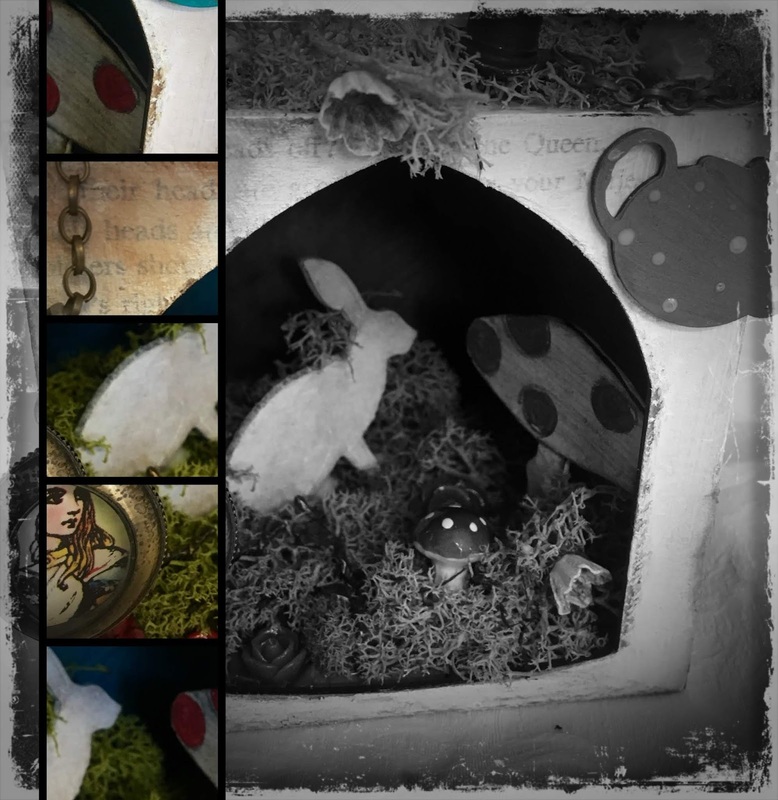 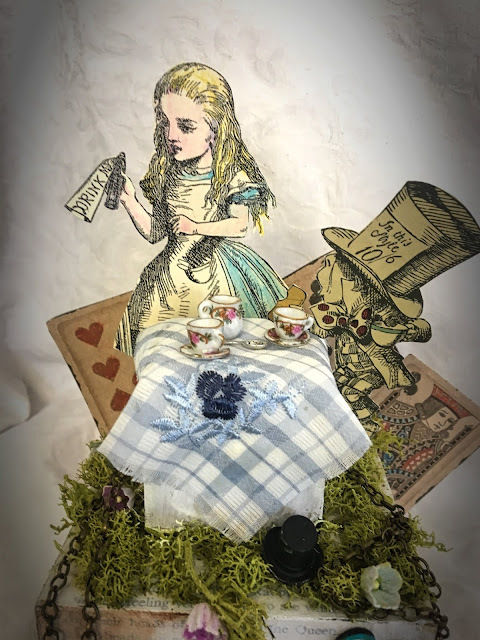 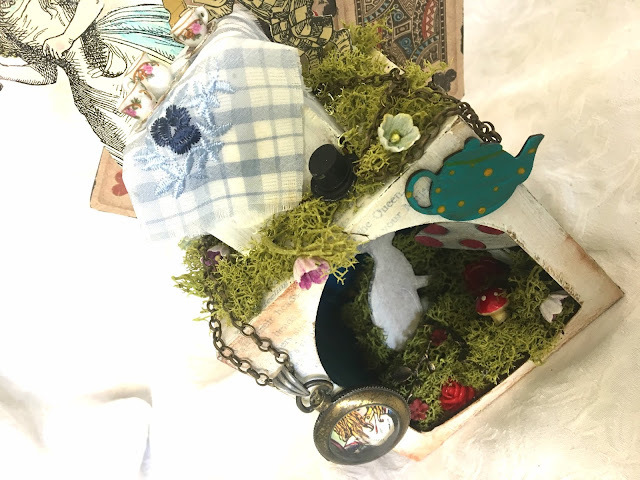 Zuzu's Petals 'n' Stuff: Tea party above the rabbit hole.... calico craft parts project. 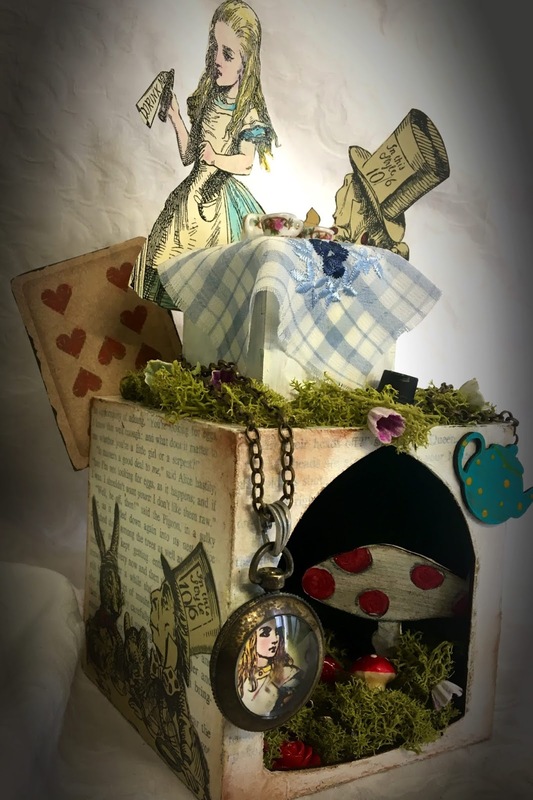 A wee bit of an Alice theme today using a couple of the Artist Trading Block cubes. I used the large one with the arch shaped front and one of the small ones as a table. 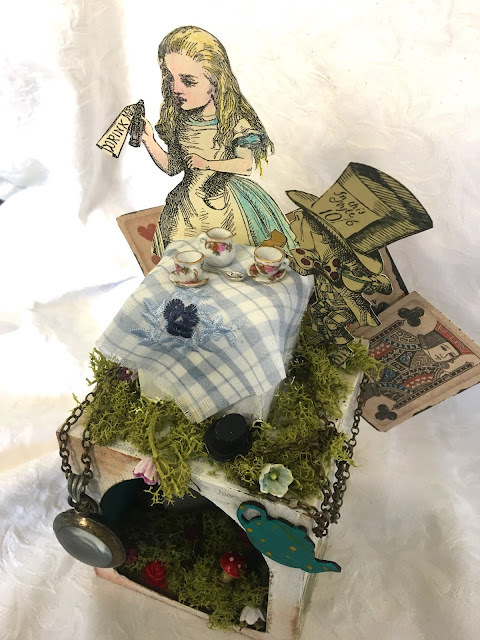 I’ve decorated it with book pages from an old copy of Alice’s Adventures in Wonderland. 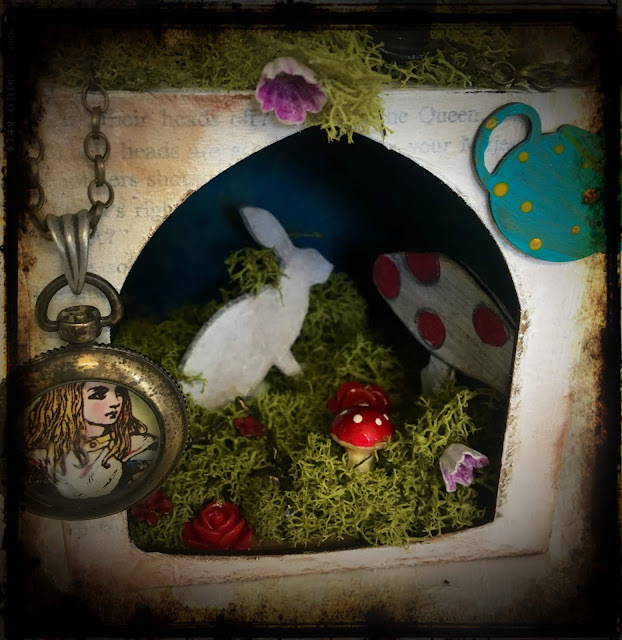 Inside I’ve added a bit of a fantasy woodland clearing with moss, flowers, toadstools and a white rabbit (which is really a hare but let’s not dwell on that. ).